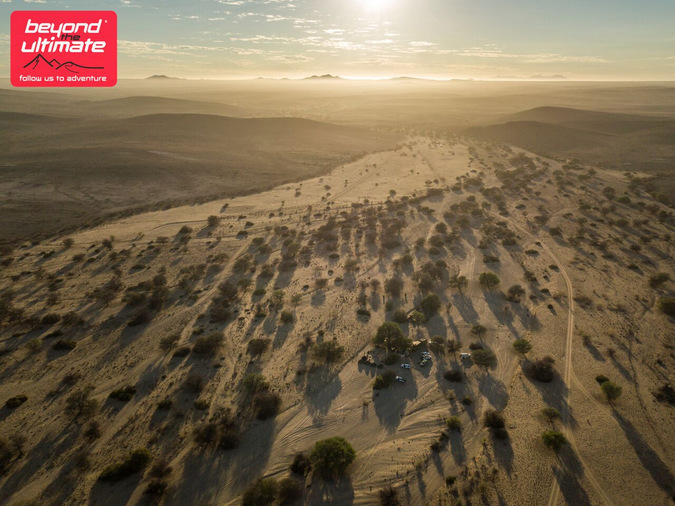 The Namib Desert is one of the most hostile places on Earth – a barren wasteland continually scorched by the unforgiving sun. 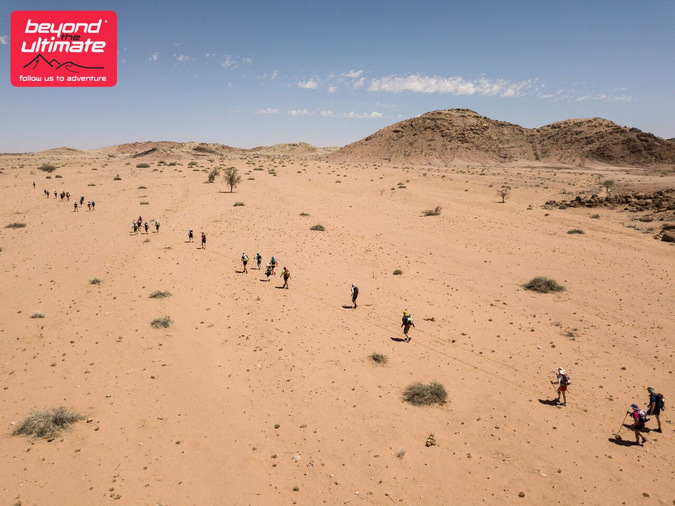 It is also the location of the Beyond the Ultimate’s Desert Ultra Marathon: a 250km race across a 55-million-year-old landscape. 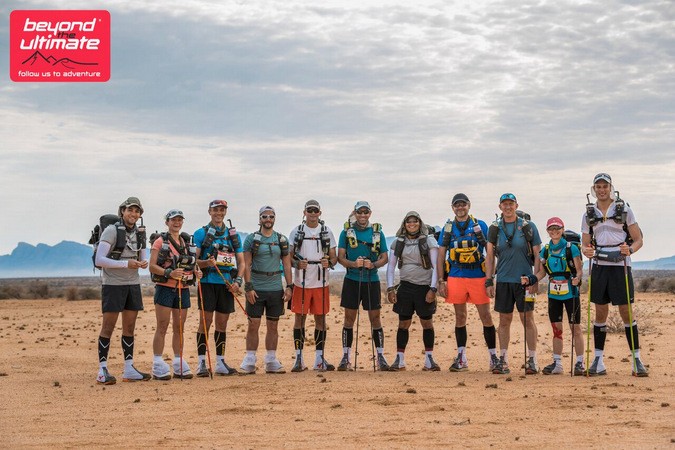 Myself and the 10 others comprising the For Rangers team had embarked on the greatest challenge of our lives to raise funds for ranger welfare across Africa. 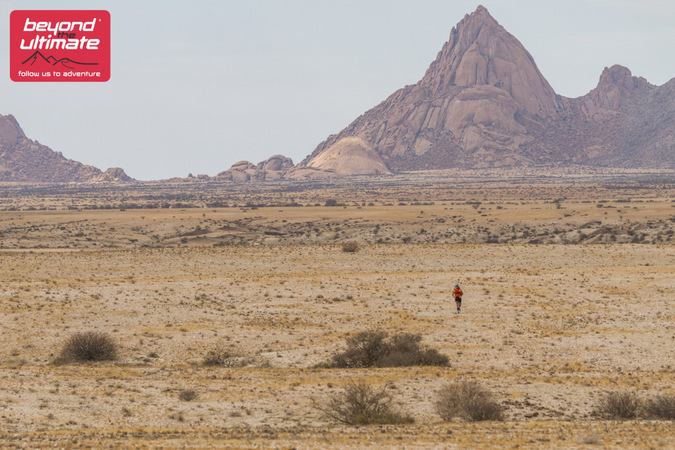 The majestic Spitzkoppe, bathed in the warm morning light, dominated the skyline behind our campsite. With increasing trepidation I prepared myself. I had trained hard for six months and the moment of truth had finally arrived. I was terrified. 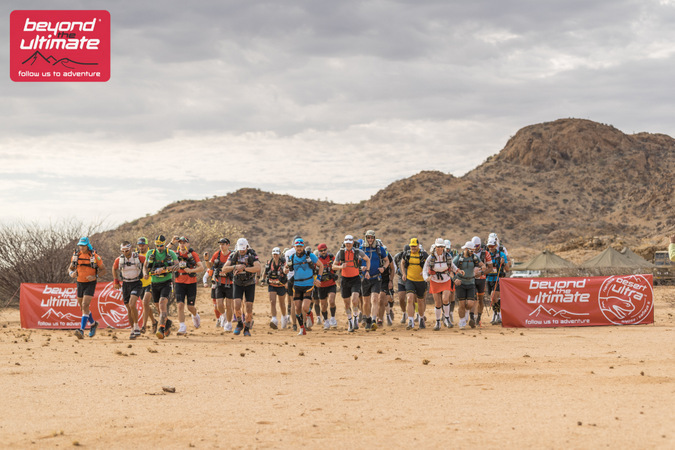 We crowded on the start line, shared one final nervous joke and then… we were off! 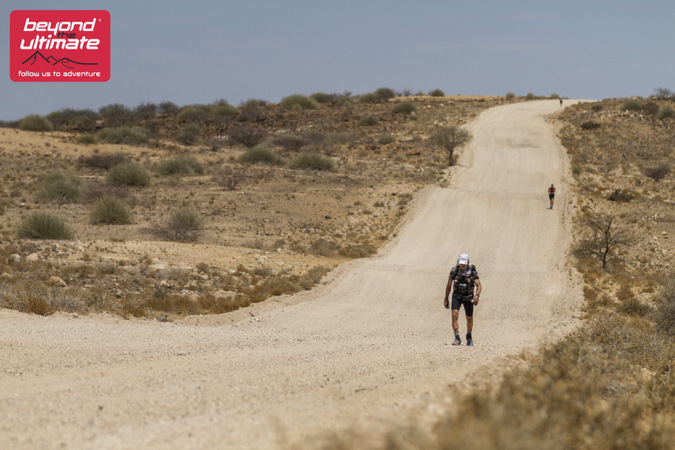 I ran the first 10km from the start keen to make progress in the early cool but soon the sun heated up with a ferocious intensity, the air became hot and dry, sweat poured down my face. I slowed to a walk and focused on the horizon. The checkpoints (spaced every 10km) came and went slowly. It was a monumental effort to stay hydrated and force down food on a regular basis. By evening, a staggering 9.5hrs later, I stumbled onto the dry riverbed that marked the end of stage one. 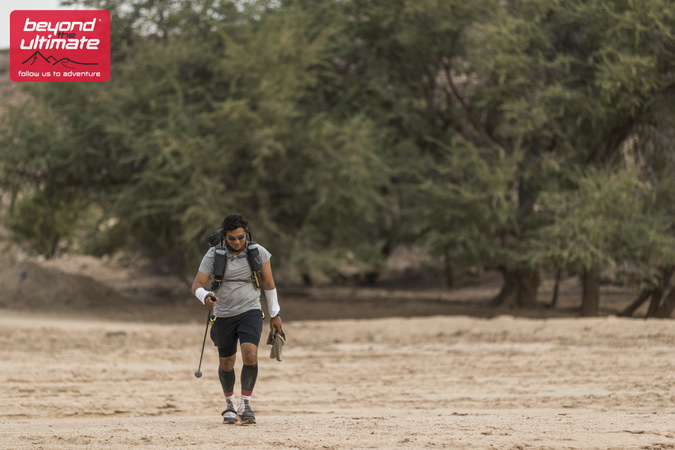 I had walked over 30kms on my own – it had been a lonely day. My feet were already a mess, huge blood blisters on my heels were a testament to the hardship of the day. It had been a shock to the system. Some runners did not finish. The highly experienced Exile Medics got to work on my feet. By 8am we were once again on the trail. 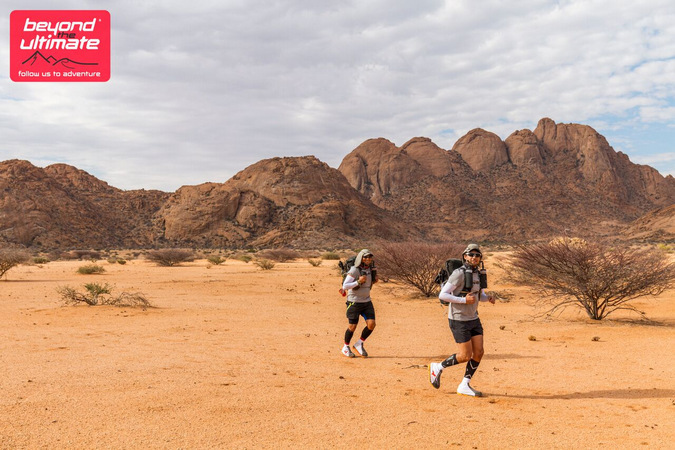 We had recovered from the brutal assault on our bodies on Day 1 and pressed on over an undulating rock-strewn landscape. We were better prepared for the challenge that awaited and we made steady progress during the day. The heat sapped our energy as the sun passed its zenith but there was no option but to continue. The landscape was featureless, a true wasteland. A total of 9 hours later we arrived in another soft riverbed that marked the camp for Day 2. The day had destroyed me, physically, mentally and emotionally. My feet were in an absolute state; blistered beyond recognition and sensitive to the slightest touch. I had no idea how I was to survive another day through the desert. 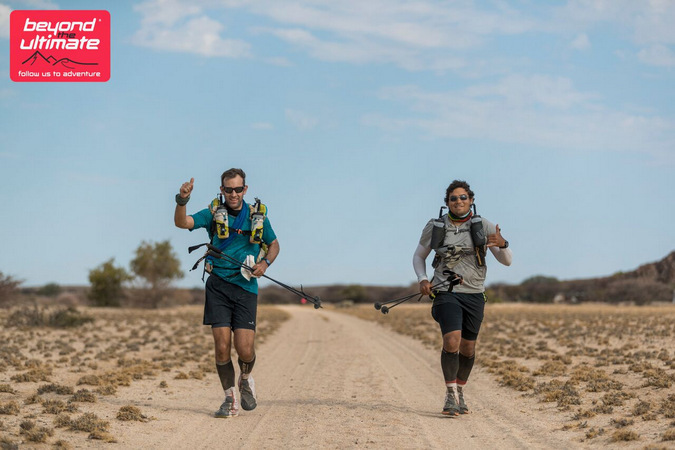 The early morning breeze failed to last and soon we were slogging it out across the vast empty expanse that is the Namib with fata morganas dancing on the horizon. 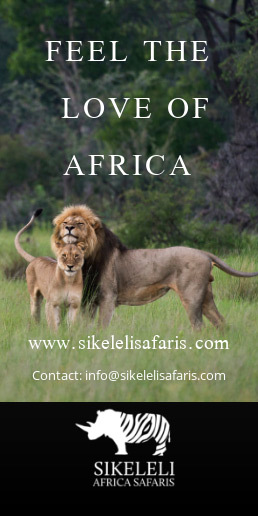 It was a punishing day and with swollen feet I limped into camp as dusk was falling. I could barely enjoy the stunning location that was the Brandberg, all I could think of was how I was supposed to keep going. I did not lack motivation but my body was falling apart around me. While the day was deceptively short, our departure time of 11am was a killer. 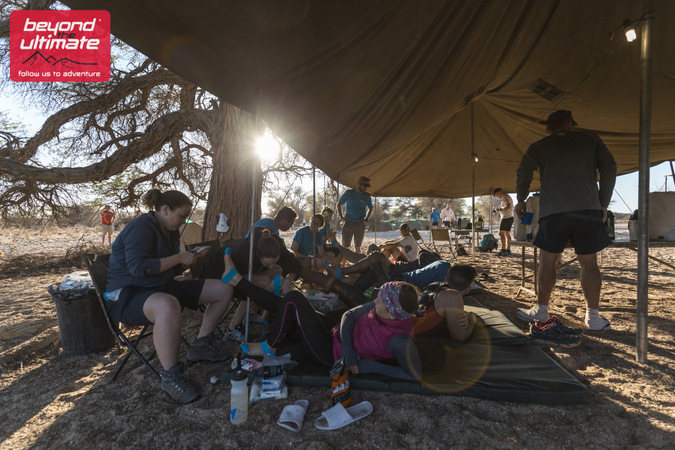 The medics spent the morning addressing all manner of foot ailment – I took up a generous amount of their valuable time. They strapped my feet in tightly, cut open my running shoes so that my feet would fit inside, gave me some drugs and wished me well. For hours we slogged it out over the loose red sands of the desert. I had developed a serious limp and was barely moving at all but failure was not an option. 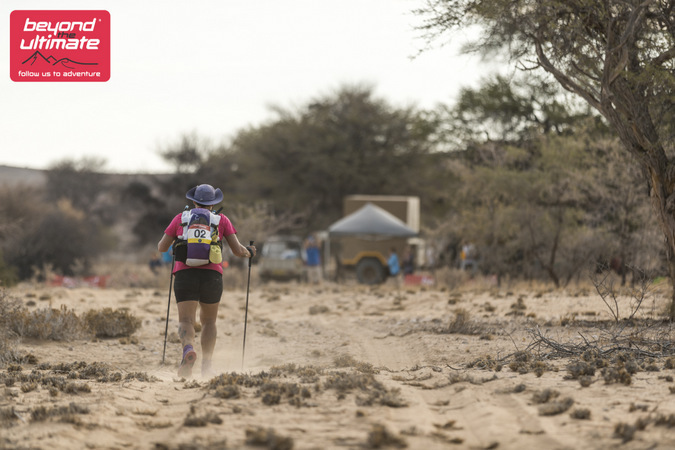 I focused on the pain, gritted me teeth and kept hobbling along till the finish. At 3:45am the alarm erupted. In the harsh morning chill we tried to shovel down some porridge and painfully squeezed our broken feet into our shoes for one final effort. 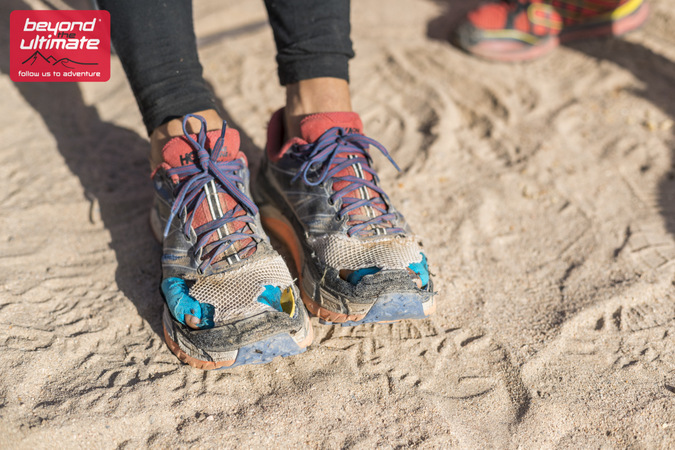 I had no luck – my feet were so swollen they simply wouldn’t fit inside. The medics attacked my shoes with scissors yet again. There was little of them left. I was given a strict regime of powerful drugs – the idea was that I would float over the pain. I was happy to try anything. At 35km I was dropped by the team, I simply couldn’t keep up with the pace. I watched them disappear over the horizon. Suddenly I was alone in one of the most majestic places on earth. The wind tore at my clothes but I had little appreciation for it. I reminded myself that failure was not an option. I fought a million battles in mind often in the deepest darkest depths of my mind. I no longer felt human. At 1130pm the For Rangers team, including myself (after I caught up with them later in the day) stumbled into the Save the Rhino outpost, marking the end of our ordeal. 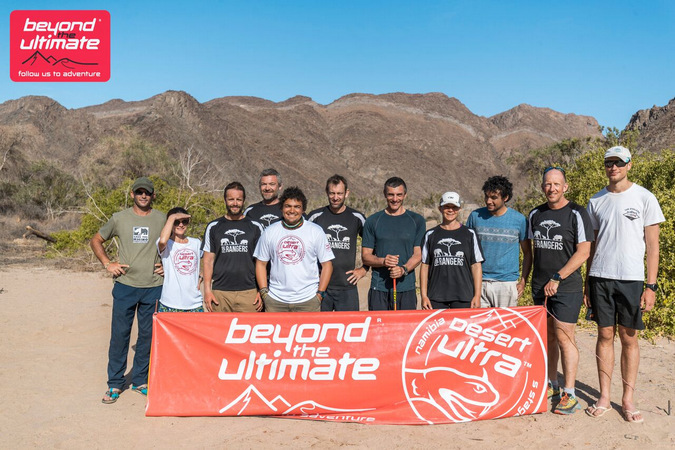 It had taken 18.5 hours through some of the toughest terrain we had ever encountered but the body had triumphed over the desert. Somehow. 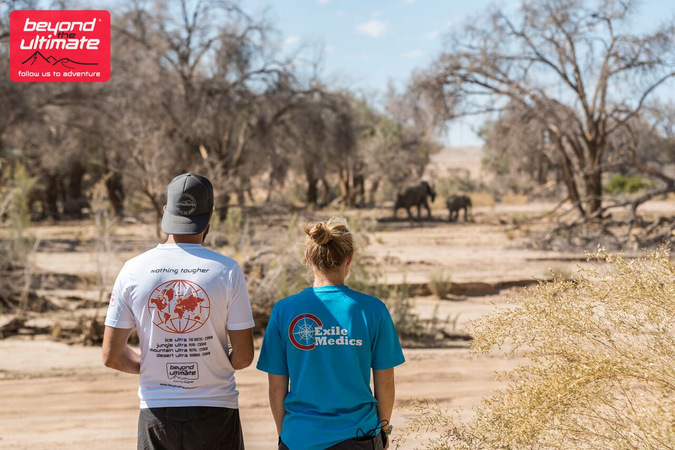 In total over £44,995 has been raised thus far which will go a tremendous way towards buying essential kit for rangers, providing necessary training and maintaining motivation as they fight on the frontline to protect Africa’s iconic wildlife. Donations can still take place at the For Rangers fundraising page.